You are currently browsing articles tagged Korea. Upon request, we are re-running this post from last year. He had a face turned to the city and a heart broken by the things that break the heart of God. A few days ago, Harvie Maitland Conn, pastor, missionary, seminary professor, theologian, and missiologist, completed his earthly urban pilgrimage. The cause of his death on August 28, 1999 was cancer. From his 12 years as a missionary in Korea to his 25 years of teaching at Westminster Theological Seminary (WTS) in Philadelphia (1972-1998), Harvie Conn left a singular legacy of calling the church, especially the Reformed and evangelical communities, to Christ’s mission in the city. It was quite possible to overlook Conn’s preceding 12 years of mission work in Korea, but only until you saw the list of books he wrote in Korean or heard him teaching in homiletics class in Korean. In Korea, his outreach to women in prostitution signaled his concern for an evangelism that saw people as both sinners and sinned against. Dr. Conn joined the faculty of Westminster in 1972 and taught apologetics and missions. His concern for missions eventually became his full-time academic focus. As a teacher admired for his engaging pedagogical style, students also considered him among the most demanding. In his teaching, Conn forged a transformational theology of the church and mission. Working with Reformed themes such as covenant, kingdom, and redemptive-history and in dialogue with Reformed theologians such as Geerhardus Vos, Herman Ridderbos, Richard Gaffin and Edmund Clowney, Conn developed a doctrine of the church that, if implemented, would bring renewal to existing ecclesial models and the social context. While committed to the traditions of the Reformed faith, Conn’s vision of the church was much broader. He firmly believed in the global church as a subject and not a Western object, and this influenced his theologizing. Pictured above : Rev. Harvie Conn, at right, speaking with the Rev. Edward Kellogg during a conference break. Conn also edited books on church planting and church growth, as well as pastoral theology and hermeneutics. The most recent volume that he edited [was] entitled Planting and Growing Urban Churches. From Dream to Reality (1997), a study made especially valuable with his section introductions. In addition, Conn wrote scores of editorials, articles, and book reviews, especially for Urban Missions Newsletter and Urban Mission Journal (founded by Roger Greenway, Conn served as editor from 1989-1999). The range of topics varied greatly and included urbanization in Asia, Latin America, and Africa, the role of diaconal ministry, Jonathan Edwards’ public theology, family life, church growth, youth ministry, evangelism, and parish life. During his time at Westminster, Conn played a significant role in leading the faculty’s commitment to what was to become the Center for Urban Theological Studies (CUTS), an effort founded by African American pastors and Bill Krispin. His contact with the students of CUTS continually shaped his thinking about ministry and theological education, just as he helped to shape women and men for the ministry. Conn’s most enduring missiological contribution was his concentration on the importance of the city. He wanted the church to focus on the city not because it was trendy—it was not—but because he read closely both the biblical material and the demographic data, bridging them together with a focus on a third horizon, God’s mission to the cities of this world. No longer, Conn argued, could the world be considered a global village. Instead, it is a global city. This is the church’s context and challenge, and to be effective, the church would need to sort out urban myth from fact. He not only helped to put the city on the evangelical agenda, but he changed the way we think about the city. In light of new understanding of the city, he pressed heavily for church planting and the developments of models that pointed to God’s future. In many respects, Conn was driven by a concern for what he saw in Paul as a special concern for the “outsider.” This is evident from the way in which he engaged Latin American liberation theologies, North American black theology, and a variety of feminist theologies. While his criticisms were not insignificant, he saw in them a profound challenge for the evangelical church to recover the holism of the gospel. Conn often wrote sentences like “Jesus loved the leftovers and left outs, and so should we.” This quote reflected his Christology: Jesus was the poor one who embodied the jubilee in all of its holism for the city. One finds no better summary of what Conn took to be the obligations of the kingdom than the title of his book, Evangelism: Doing Justice and Preaching Grace. Dr. Conn had several distinctive and memorable traits. One example was his, at times, frustrating propensity to work alone. Perhaps this was a result of the many frustrations he faced as an advocate for new ways of seeing and thinking about following Christ. He was well-known for his sense of humor and hearty laugh. While a student at Westminster, I never looked for him in the library, but rather I listened for his laugh over by the periodical section. To paraphrase Langston Hughes, Conn’s laugh was like a handshake heard across the room. It was welcoming and inviting. Perhaps he was laughing at his own jokes, but that was always the best reason to laugh along. Conn loved to conclude his sermons, essays, books, and lectures with a barrage of questions. The motive for this format might have been to exercise his prophetic ministry in a less direct way. Or perhaps it was his way of saying he was helping to set an agenda, not resolving it. Probably both, and with a nod to Christ’s style in the gospels. Will the church heed the Lord’s call to the global city of the next century and beyond? Will theological education rise to the challenge? Will we allow missions to be the guide for our theological agendas? And in all of this, what about the poor and the excluded? Will the church change for the sake of a gospel that is good news for the poor? At heart, Harvie Conn was an urban evangelist who proclaimed sovereign grace so that the “world may believe” (John 17:21). His passionate focus on the gospel for the city called many, including me, to see the city as the primary site of Christ’s mission. May the witness of Conn’s Jesus stargazing in the city influence our lives so that we might faithfully proclaim and live for the One whom he followed. Photo source: Presbyterian Journal Photo Collection, Box 246, file 2, preserved at the PCA Historical Center, St. Louis, MO. Excerpted from the Minutes of the Bible Presbyterian Synod, 1974, pp. 38-39. The Rev. Mr. Toms went into the Lord’s presence on November 14, 1973, in his sleep, at the age of 95. Mr. Toms was born in 1878 in South Australia. He was graduated in the class of 1908 from Princeton Seminary, a classmate and friend of the late Dr. J. Gordon Holdcroft. Upon graduation he was licensed by the West Jersey Presbytery of the Presbyterian Church in the U.S.A. On October 27, 1908 he and his wife, Ella Sparks Burt, sailed for Korea to serve at Taegu and Seoul stations. They had three children, Robert, Burton and Elaine. Rev. Burton Toms was born in Seoul, Korea, and is at present serving the Lord under the Independent Board for Presbyterian Foreign Missions. 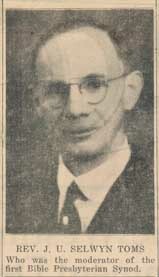 Having returned from the mission field in 1923, due to the ill health of his wife, Mr. Toms served as pastor of the Thompson Memorial Church in Pennsylvania and after four years, as pastor at the Presbyterian Church of Woodstown, N.J., on July 31, 1936, Mr. Toms felt it was necessary to withdraw from the Presbytery due to un-Presbyterian actions. Mr. Toms was elected to the Board of the Independent Board for Presbyterian Foreign Missions on May 31, 1937 and actively served until health prevented his attendance in 1966. Mr. Toms was very strong in his stand against ecclesiastical apostasy and was active in the continuing succession to the Presbyterian Church U.S.A. He became a member of the Presbyter¬ian Church of America and was elected stated clerk for the New Jersey Presbytery. When it was no longer possible to continue in fellowship with that body, he formed part of the commission for a Bible Presbyterian Synod. The first Synod of the Bible Presbyterian Church was held in Collingswood, N.J. September 6-8, 1930, and Mr. Toms was elected its FIRST moderator, because of the all-important missionary issues included in the conflict with the Presbyterian Church in the U.S.A.
For many years he served as the faithful statistician of the Bible Presbyterian Church. Mr. and Mrs. Toms made their residence In Chattanooga, Tennessee, with their son Robert. Mrs. Toms had gone to be with the Lord in November, 1971. “Blessed are the dead which die in the Lord from henceforth; Yea, saith the Spirit, that they may rest from their labours; and their works do follow them.” – Revelation 14:13. Mr. Toms served as a faithful member of the Kentucky-Tennessee Presbytery for many years prior to going to his higher reward. John Ulverstone Selwyn Toms was born in Waller, New South Wales, Australia, on 26 October 1878. He married Ella Burt on 10 October 1905. Children born to their marriage included Robert, Frederick, and Marian. He was educated at Wheaton College in Wheaton, Illinois, graduating there in 1905 with the A.B. degree. He prepared for ministry at Princeton Theological Seminary, graduating in 1908 with the Th.B. degree and later returned to Princeton for the Th.M. degree, in 1924. Rev. Toms was ordained by the Presbytery of West Jersey (PCUSA), on 2 July 1908. From 1909-1923, he served as a evangelist in Korea under the auspices of the Board of Foreign Missions (PCUSA). He was pastor of the Thompson Memorial Presbyterian Church (PCUSA), Brownsburg, Pennsylvania, 1924-1928. From 1928-1936, he was pastor of the PCUSA church in Woodtown, New Jersey. Rev. Toms was received by the Presbytery of New Jersey (Presbyterian Church of America/Orthodox Presbyterian Church, on 8 September 1936, but later withdrew to become a founding member of the Bible Presbyterian Church, on 6 September 1938. His date of death was 14 November 1973. Above, Rev. Harvie Conn, at right, speaking with the Rev. Edward Kellogg during a conference break. Several years ago, the Rev. Howard Carlson, a minister in the Bible Presbyterian Church, shared a letter written by the father of Carl McIntire, addressed to the Rev. A.B. Dodd, a missionary to China. Both men were at that time members of the Presbyterian Church in the U.S.A. One of the real joys of an archivist’s job is getting to read other people’s mail. [that’s an old archivist’s joke, but with a strong measure of truth]. This letter offers a rare glimpse into a close friendship between two young men preparing for their respective lives of ministry, one in the distant fields of China, the other, by God’s providence, remaining at home. Bonnie, my wife is granddaughter of Albert Dodd, Missionary to China. He was a close friend of Curtis McIntire and the below letter was addressed to Dodd by the Rev. Curtis McIntire. They were to have gone to China together, but McIntire became ill the night before the ship left. Interesting thought – if Curtis McIntire had not become ill, Carl McIntire would have been born in and lived at least his early years in China. I suppose you are getting ready to be off for Persia. How I would like to see you! You could tell me the glories of the Conference at N.Y. I can’t decide where I want to apply for China, Korea, India are before my mind. I wish you would tell me what you think I ought to do considering myself and the work in the places. I am attracted to the evangelistic work of Korea. But China appeals to me for its need of workers, the need which is darkness. I wouldn’t be so careful [uncertain] about making my choice but I ____ that is one of the ways God has of placing me and I am to exhaust my possibilities; then if it’s not the place He will cause the Board to overrule. Let me know what you think. I want the outside view and you can give it me. I haven’t had a long letter from “Herb” for some time. I’m afraid he isn’t savoring [uncertain] the work as much as I did last year. I’m sorry I couldn’t meet for Commencement. But I learned you were still in the east. I saw Miss Forley [uncertain] and asked her to remember me to [you?uncertain]. And if you see her give my choicest regards to her and her sister for me. Image source: Photograph of Mrs. & Mrs. A.B. Dodd, as found in The Independent Board Bulletin, 5.8 (December 1939), page 8. Tags: Carl McIntire, China, Korea, Sr.
William Andrew McIlwaine was born on April 24, 1893 in Kochi, Japan. He attended Davidson College, graduating with the AB in 1915 and from Union Theological Seminary in 1919 with the BD degree. Upon completion of his studies, he was ordained in May of 1919 and from 1919 until 1942 served as a missionary to Japan, including six months in detention immediately following the outbreak of the war. He returned to the US on an exchange ship in the summer of 1942. Rev. McIlwaine was then commissioned on June 11, 1943, attending US Army Chaplain School at Harvard University, graduating there in July, 1943. Duty assignments included Station Complement, Camp Ellis, IL, July 1943 to Feb. 1945; Percy Jones Hospital Center, Battle Creek, MI, Feb. to Aug. 1945; special Projects Division, Provost Marshall General’s Office, with duty in Washington, D.C. and Prisoner of War Camp, Huntsville, TX, August 1945 to April 1946. On May 14, 1946 he was separated from active service with the rank of Major. 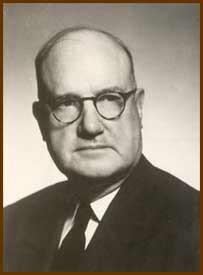 Dr. McIlwaine then returned to service as a missionary in Japan from 1946 until 1963. He later served as Stated Supply for the McIlwain Memorial Presbyterian Church of Pensacola, Florida from 1969 to 1971. In 1976 he served as moderator of the 4th General Assembly of the Presbyterian Church in America (PCA). He died on November 30, 1985, at the age of 92. Aurine Wilkins McIlwaine was born on January 14, 1904 in Hopkinsville, KY; educated at Bethel Women’s Academy and College, obtaining her BS from Cumberland University in 1926. She then graduated from the PCUS Assembly Training School in 1929 and was appointed a missionary on Feb. 13, 1929. On September 3, 1931 she sailed for Korea and remained in faithful service there until 1939. She married the Rev. William A. McIlwaine on December 28, 1939 in Kwangju, Korea and then went with him to Japan, where together they served as evangelistic missionaries. With only the war years of 1942-1946 interrupting, they served there until their retirement on December 31, 1963. Mrs. McIlwaine died on December 20, 1982, at the age of 78, following a brief illness. She is buried in Bayview Memorial Park in Pensacola, FL. What follows is a tribute paid to the McIlwaine’s, in light of their long lives of service to the glory of our Lord and Savior. Above, you have the basic facts of their lives. Below, the substance of their lives, lived out in the reality of redemption which comes through Jesus Christ alone. Tonight we are gathered together to say farewell to Will and Aurine. I dare not say farewell really because surely we shall be seeing each other on furlough, and perhaps even in Japan – and certainly in God’s good time, in Heaven. I dare not speak from a personal point of view because then I must expose to the rest of the Station some things that only the McIlwaines and I know. I dare not recall all the personal aspects of our friendship of over ten years lest I not finish here tonight. But I will point out some general facts which we all can recall and appreciate. No matter what I say, I’m sure I’ll have not said enough, and no matter how well I try to say it, the matter won’t really be touched upon at all. First, I’m going to say that we are saying goodby, for a time at least, to True Servants of God. I’m sure that not a day passes that the McIlwaines don’t serve the Lord in service to others. I can recall, as many of you can, the long nights spent in the office getting ready for the next day’s classes because during the day company had come;—a couple they had known before the war wanted to get started again in the Lord’s service. The sick were visited. Milk was distributed to the pastor’s emaciated children. The new language students had to be housed. As many as could stayed with the McIlwaines and then houses had to be rented. Rugs, desks, food, notebooks and many other little necessities had to be purchased. The thousand and one small services were all done as service unto God by servants of God. Therefore, these small services were always, as now, done cheerfully. They show as much zeal locating an old trunk that must be forwarded to someone as they do in the more spiritual aspects of the work. Secondly, we are saying goodbye to Personal Friends of each of us regardless of other ties. These servants of God have the particular gift of being able to command the respect of all peoples and therefore all members of our Station and Mission have at one time or another confided in them. It may have been about where to work or the merits of a two-story or one-story house, the dangers of drinking well water or the problems of bachelors or single ladies, or the rigours of married life and rearing children. You can take your pick. They have counseled most of us on most of these problems. Thirdly, we are saying goodbye to a couple who are Widely Loved beyond the narrow bounds of our Station and Mission. Recently near the Seminary about one-hundred twenty Christians from all over the General Assembly of the Reformed Church gathered to pay tribute to them for their years of faithful service among them. We also claim them, but not exclusively. The seventy graduates of the Kobe Reformed Seminary claim them. The four-hundred graduates of the Kobe School of the Japanese Language are proud to have known them. The Language School itself acknowledges Will as its founder. The Yodogawa Christian Hospital claims them both from the kitchen to the out-patient department, from the early days to today with its increased use­fulness. The Kobe Union Church claims them with many long years of faithful service there. The Motomachi Evangelistic Hall, the Chinese work, the other Reformed Churches in Kobe and some from other denominations all claim them for one reason or another. Many have expressed this gratitude in Kobe as well as in Kochi, Kagawa, Aichi, Gifu, Sendai, Tokyo, and other cities and prefectures where they have recently been honored. Then, there are the other institutions that claim them. Kinjoin Nagoya for many years had Will as a leading figure on the Board of Trustees. Seiwa in Kochi has had Will active in the life of the institution for all these years, not to mention Shikoku Christian College which Will, L.W. Moore, and Jim McAlpine were instrumental in starting in the early days after the war. I could go on and speak about the Inter-Varsity Movement in Japan of which Will is an advisor, the Japan Protestant Conference which elected him as its first president to celebrate the Protestant Centennial in Japan,—then the Japan Protestant Centennial. There must be a dozen more organizations that claim them, but let them do so. At least we are among them. Fourthly, we are saying goodbye to Educators. I will not dwell on this. Many of you know of Japanese pastors who speak almost perfect English, taught by Aurine; and of Bible-believing and preaching pastors, taught by Will. Canadian Academy, the Kobe Reformed Seminary, and a half-dozen other schools in Japan are indebted to them for their educational services. I once heard someone say that she was never around Will that she didn’t learn something new. He is not only an authority on the Bible but also on many other subjects. Fifthly, we are saying goodbye to Evangelists. Lest I separate these two categories of Education and Evangelism too sharply and be criticized—I’ll pass on through this point saying—not separated by any facet of life—all of life is evangelism for them. Scarcely a prayer meeting passes that we don’t sense this by their prayer requests and prayers. I’ve worked some of the Nagoya area where Will was for fifteen years and have seen the fruit which lives on in the churches founded under his leadership. It doesn’t matter if it is the ex-soldier, scrap-dealer at Kaigan dori whose life Will saved after the war, or the shoe-repair man at Mikage—all have been touched by them and I’m sure even yet these too will believe. I’m sure many more will yet believe due to the seed sown by these faithful evangelists. So tonight we say goodbye to faithful, true servants of Jesus Christ, to personal friends of each of us, to widely loved missionaries beyond our Mission and Station, to Educators among many institutions, to first and last and always evangelists to bring the glad tidings of our Lord and Savior Jesus Christ to Japan. Love vaunteth not itself, is not puffed up. Francis Schaeffer is reported to have been the one who coined the phrase “split P’s,” in reference to the many divisions among Presbyterians. But for all the talk of division among Presbyterians, the latter half of the twentieth century was actually quite full of mergers and attempted mergers. One of these attempted mergers formally began in 1972, first with committee planning, and then with talks in 1973 between the Presbytery of the Midwest of the Orthodox Presbyterian Church and the Midwestern Presbytery of the Reformed Presbyterian Church, Evangelical Synod, as they sat down to discuss the proposed union at a meeting in St. Louis on April 24, 1973. Then in June of that same year, the matter came under initial consideration at the national level for each of the two denominations. Our God Is Faithful, from Generation to Generation. On this blog, now nearing the end of its second year, we have on numerous occasions made use of the news clippings preserved in seven scrapbooks gathered by the Rev. Henry G. Welbon. Henry had a keen eye for the value of history, and those scrapbooks contain valuable coverage of the modernist controversy of the 1930’s. Additionally, Rev. Welbon also wrote histories of two churches that he served. Henry Garner Welbon was born in Seoul, Korea on September 28, 1904. His father, Arthur Garner Welbon [1866-1928], was a missionary sent to Korea under the auspices of the Presbyterian Church, U.S.A. Upon arriving in Korea in 1900, a year later he married Sarah Harvey Nourse, a missionary nurse who had arrived on the mission field a few years earlier. The Welbons served at several mission stations, raising a young family there on the field, until Mrs. Welbon’s declining health forced the family to return to the United States in 1919. Up until that time, Henry had attended the P’yongyang Foreign School in Korea. He then completed his secondary education in California, before the family relocated to Maryville, Tennessee. Henry graduated from Maryville College in 1927, though he had suffered the death of his mother in 1925, and his father returned to the mission field shortly thereafter. Pursuing a call to the ministry, Henry entered Princeton Theological Seminary in 1927 and was there during those turbulent years that witnessed the reorganization of Princeton and which in turn led to the formation of Westminster Theological Seminary. Henry was one of those that left Princeton to complete his education at Westminster, graduating there in 1931. 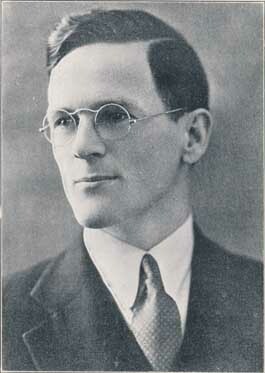 He was licensed just before graduation and ordained in September of 1931 by the Philadelphia Presbytery (PCUSA), being installed in what some term a “yoked” pastorate, serving both the Head of Christiana PCUSA church in Newark, Delaware and the Pencader Presbyterian Church in Glasgow, Delaware. Now settled as a pastor, he married his dear wife Dorothy the following June of 1932. Following his convictions, Rev. Welbon led his congregations to take a stand for the gospel, though it meant the loss of their respective buildings. This was in 1936, and Rev. Welbon became one of the founding ministers of the Presbyterian Church of America [later renamed as the Orthodox Presbyterian Church]. Then in 1938, he was among those who left the PCofA to form the Bible Presbyterian Church, with Rev. Welbon serving the BP congregation in Newark, DE until 1942. Our own records do not tell how he spent the years between 1942 and 1946, but in post-war years, his facility with the Korean language became important to the U.S. government. The government eventually wanted to relocate him to Korea, but wise friends there urged him not to take that appointment. Wise advice indeed, in the late 1940’s. Later in life, Rev. 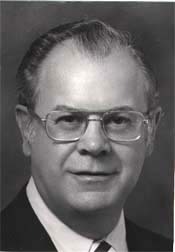 Welbon returned to missions, serving first as a teacher in Japan, 1966-69, and then as pastor of the Presbyterian Church of Boatswain Bay, Grand Caymans, 1969-71. Thereafter, he was honorably retired as a member of the Delmarva Presbytery of the RPCES. In the closing years of his life, and after the death of his beloved wife Dorothy, Rev. Welbon got on a train in the Spring of 1999 and left his home in Tucson, Arizona to travel across the country to research his family history. This had been a life-long project, and he hoped to finally locate some of the last necessary bits of information. St. Louis was one stop in his journey, and I was honored to meet him at that time. He continued on to Washington, D.C. to complete his research and then returned home to finish writing his family history. Completing that work, he took it to the publisher and died the very next day, on December 11, 1999. A History of Head of Christiana Church. (1933). A History of Pencader Presbyterian Church,. (1936). A History of Christian Education in Delaware. (Univ. of Delaware, M.A. thesis, 1937). A History and Genealogy of a Welbon Family which Came from Lincolnshire, England to Detroit, Michigan in 1854. (1999). The grave site of the Rev. Henry G. Welbon can be viewed here. 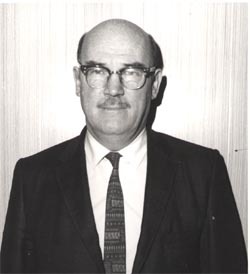 John Mair Lisgar Young was born on November 7, 1912 in Hamheung, Korea to parents Luther L. and Catherine F. (Mair) Young, Canadian Presbyterian missionaries. John began his education there in Korea and later moved to Kobe, Japan, where he graduated from the Canadian Academy. He received the degrees of B.A. (1934) and M.A. (1935 from Acadia University in Wolfville, Nova Scotia, doing thesis work in the field of the German Reformation. He then attended Westminster Theological Seminary in Philadelphia from 1935 to 1937, before transferring to Faith Theological Seminary, where he graduated in 1938. He was both licensed and ordained to the ministry later that same year. 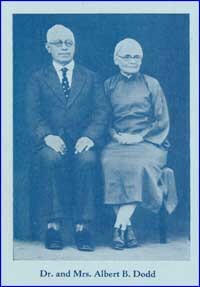 On May 28, 1938 he married Jean Elder in Toronto, Ontario, and together they served as missionaries in Harbin, Manchuria from 1938 to 1941. From 1942 to 1948 he served as the organizing pastor of the Bible Presbyterian church in Wilkes-Barre, PA. The Youngs next moved to Nanking, China to continue their missions work, but were forced to leave China when the communists took over in 1949. A subsequent move to Japan initiated one of his most important periods of ministry. There he served from 1949 until 1966. During this time he helped to plant three churches and was cofounder of the Japan Christian Theological Seminary. At that institution he taught systematic theology and also served as the president of the school from its founding in 1954 until 1966. In that year his wife died of cancer and he returned to the United States with his seven children, arriving to settle in Grand Rapids, MI and work on the Th.M. degree at Calvin Seminary, with thesis work focusing on the topic of Christology. Upon completion of that work, he moved in 1967 to Lookout Mountain, TN to take a position at Covenant College as Missions professor.On February 8, 1968 he married Jane Brooks, a faculty member in the English department. They remained at Covenant until his retirement in 1981, at which time they returned with their daughter to Japan. Work there continued under the auspices of World Presbyterian Missions, the foreign missions arm of the Reformed Presbyterian Church, Evangelical Synod. Dr. Young served as president of WPM for three years. Two of his sons currently serve as foreign missionaries in Japan. 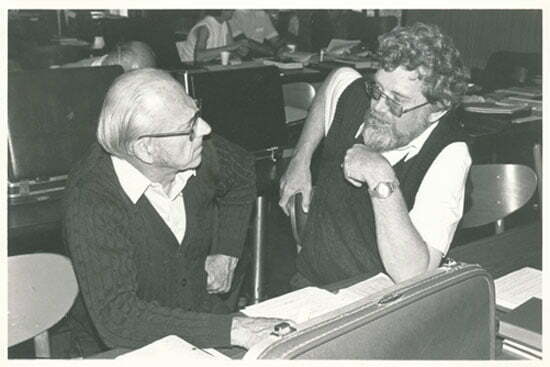 And a surprising find: Nosing around the Web, this, concerning Dr. Conn, was a surprising find. Campus statuary, anyone? “If we as God’s people were only more willing to wait for the Lord, how infinitely great would be the things that He in His graciousness would be delighted to do for us and in us and through us to the blessing of others and to the glory of His Name.” — Dr. T. Stanley Soltau. Through a long, useful life, Theodore Stanley Soltau, D.D. served faithfully and well the Lord he loved. Theodore Stanley Soltau was born in 1890, of missionary parents in Tasmania, and throughout his life was himself a missionary in every sense of the word. The Soltau family had originally been Plymouth Brethren. In fact, Stanley’s grandfather, Henry William Soltau, was born in Plymouth, in 1805. Henry authored works which remain in print to this day: The Holy Vessels and Furniture of the Tabernacle and The Tabernacle, the Priesthood and the Offerings. Stanley received his early schooling in England, but when Stanley’s parents returned from the mission field to the United States in 1904, he remained stateside to obtain his undergraduate training in Northwestern University in Evanston, Illinois. His theological work was done at Princeton Seminary under men whose names are familiar to all in our church. Shortly after graduation from seminary Dr. Soltau began a quarter of a century of profitable missionary endeavor in Korea. During these years he served under the Mission Board of the Presbyterian Church in the U.S.A., working in pioneer missionary works as well as in the administrative work of the mission in that land. It was while Dr. Soltau was in Korea that the church there suffered much persecution for its faith from the Japanese. Dr. Soltau stood firmly with the Church in resisting the attempts of the government to interfere with its service for the Lord. Forced, through illness, to return from the foreign field in the late 1930’s, he entered on a new phase of his service. He was pastor in Evanston until 1942 when he was called by the First Evangelical Church of Memphis, Tennessee. The blessing of the Lord was upon his ministry in Memphis and the church grew in number and service. Dr. Soltau’s life-long interest in missions was reflected in the interest of First Evangelical Church in supporting missions around the world. After twenty-six years of an active and valuable pastorate, Dr. Soltau resigned in June of 1968. In his “retirement” he was, if anything, more active in his ministry for people and for missions. He traveled extensively in the U.S. and on missionary trips to South America and around the world. In the early 1950’s, Dr. Soltau united with the then Bible Presbyterian Church. His help in the formation of World Presbyterian Missions was great and he served until 1971 as the president of this missions board. He was for a time on the board of the North Africa Missions agency, as well as that of the Greater Europe Mission and also Columbia Bible College. The Lord blessed Dr. Soltau and his wife with children who grew to place their trust in Christ. His daughter Eleanor served in Jordan as a medical doctor; daughter Mary worked with a ministry for the handicapped; George was engaged full-time with prison ministry and Addison served as a professor at Covenant Theological Seminary and currently serves as an associate pastor at First Presbyterian Church of Coral Springs, Florida. A memorial for Dr. Soltau was published in the 1973 Minutes of Synod of the Reformed Presbyterian Church, Evangelical Synod. Our account above is based on that text. An obituary was also published in the RPCES newspaper, The Mandate, and there is a Memorial for Dr. Soltau in the Journal of the Evangelical Theological Society, 15.4 (Fall 1972) 256. But thus far, the primary work on Dr. Soltau’s life remains the biography by Charles Turner, included as chapter nine in Chosen Vessels. “Mission Survey,” in The Fiftieth Anniversary of the Korea Mission of the Presbyterian Church in the U.S.A., June 30-July 3, 1934, Rhodes, Harry A. and Richard H. Baird, editors. Seoul, Korea : Y.M.C.A. Press, 1934. pp. 216-233. Straight Road to Christian Living : Valuable Helps for Young Christians. Grand Rapids, MI: Zondervan Pub. House, 1942. 63 p.
Christ is the Son of God. Chicago, IL: Moody Press, 1944. 48 p.
The Everlasting Gospel. Memphis, TN : The Mid-South Bible Center, 1946. 65pp. That They Might Have Life. Memphis, TN : The First Evangelical Church, 1947. 29pp. Lo, I Am With You Always. Memphis, TN : The First Evangelical Church, 1949. 31pp. Who do men say that I am? Wheaton, IL: Van Kampen Press, 1949. 112 p.
A Straight Road to Christian Truth [Seoul] : Presbyterian Publication Fund, 1956), Korean language. 65 p.
“The High Priesthood of Christ,” serialized in The Bible Presbyterian Reporter, 1958-1959. Facing the field; the foreign missionary and his problems. Grand Rapids: Baker Book House, 1959. 135 p.
Missions at the Crossroads: The Indigenous Church—A Solution for the Unfinished Task. Grand Rapids, MI : Baker Book House, 1959. 188pp. “Reformed Theology and Missions,” in The Bible Presbyterian Reporter, 5.4 (April 1960): 15-16. “Paradoxes of the Cross,” Part I – The Place of Defeat and Victory, in The Bible Presbyterian Reporter, 5.4 (April 1960) 7-8; Part II – Man’s Sin versus God’s Love, in The Bible Presbyterian Reporter, 5.5 (May 1960) 11-12; Part III – God’s Identification of Himself with Man, in The Bible Presbyterian Reporter, 5.6 (June-July 1960) 5-6. The Standard Bible Commentary on Acts. Seoul : Committee on the Bible Commentary of the General Assembly of the Presbyterian Church in Korea, 1961. 456 p.
“Committing the Message to Faithful Men,” – Convocation Exercises at Covenant College and Seminary, St. Louis, MO, 27 September 1963. The God-pointed Life: Lessons from the Life of David. Chicago : Moody Press, 1966. 127 p.
In the Enemy’s Territory. [s.l. : s.n. ], 1969. 137 p.
Yin Yang, Korean Voices. Wheaton, IL: Key Publishers, 1971. 147 p.
Liberalism versus Historic Christianity. Lincoln, NE : Back to the Bible, 1977. 15pp. Jesus, man or God? Memphis, TN: Time for Truth, 1970-1979? 55 p.
Our Sufficiency. (s.l. : s.n., n.d. 20pp. The Reality of Christ’s Promises : A Series of 10 Broadcasts by Rev. T. Stanley Soltau, D.D., over Station WMC. Memphis, TN : First Evangelical Church, n.d. [1940s]), pb, 51pp. “For to Me to Live Is Christ,” [Final Message at Covenant, 6 pages].